Beautifully updated from a 3BR 1.5BA home to a 4BR 2.5BA home with new metal roof. Gorgeous hardwood floors, open floor plan & split bedroom design. Immaculate. 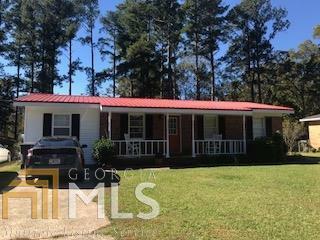 Fenced yard & workshop completes this awesome & rare Jones County home. Great price. Directions: In Gray, Cross Rr Tracks Onto Hwy 22, Past Turner Woods Rd On Right To Pinewood Drive On Right. Home Is On Right.